Foam From Above: Nerf Rebelle: successful? 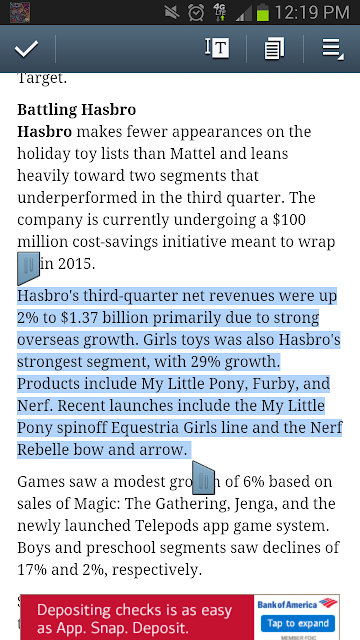 Looks like Nerf Rebelle is a success so far, if this quarterly report means anything. Between the buzz generated and a good product, I would agree.